Wonderful photos! And thank you for the line drawing image – love it! Yes, I’ve been away for a while but I’m back now. I think my past summer here in Australia was a little too hectic for many things, including blogging, and the heat killed my motivation. 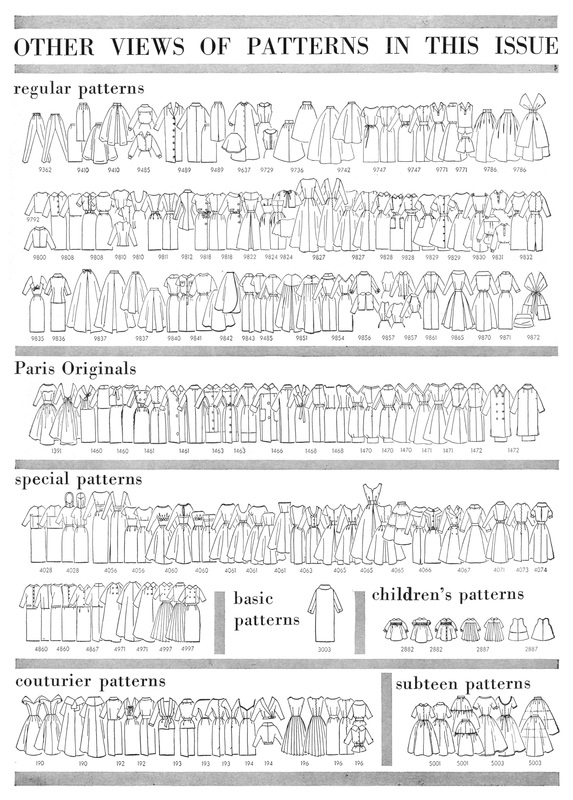 The line drawings really help to understand the garments, don’t they? 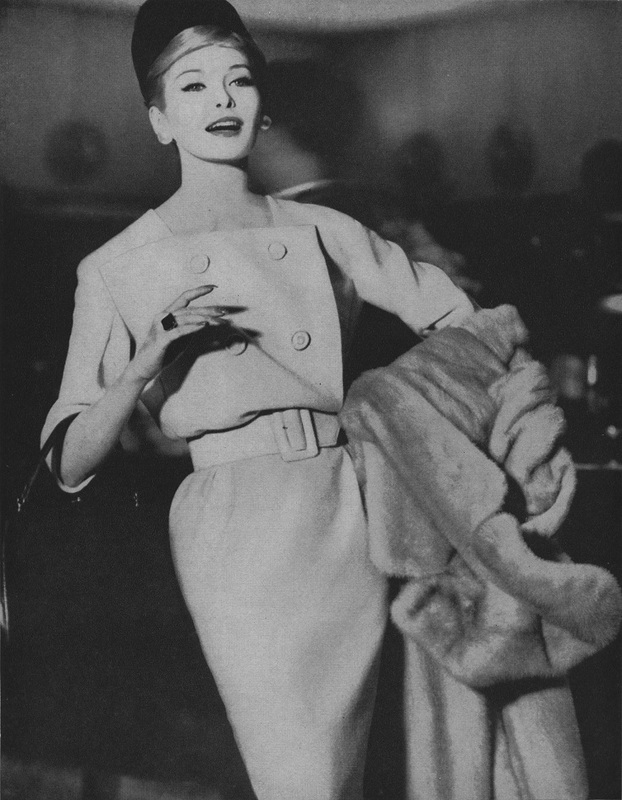 Especially when you might only get a photo of the front, and even then a coat can obscure half of the ensemble. I’m glad you enjoyed the post. I’m still following your blog and I get the email updates, but I must drop by and contribute a comment now and then, and soon! How I enjoyed this fashion history/commentary, Dustin! I have at least two Vogue patterns – non-designer – that I can think of just off the top of my head which are absolutely based on Vogue 1466 and 1463 featured in your post. I am such a fan of those early VPB magazines – and especially like the classic styling that went into the photo shoots and those fabulous line drawings in each issue. I agree with Brooke – it’s a treat to see a post from you. I’m really glad you enjoyed the post. I’ve just dropped by your blog and I can’t believe what I’ve missed! I’m a subscriber to your blog but for some reason I haven’t been receiving the email alerts for your new posts. I’ll try to sort it out. When I have a spare moment (or an hour or two!) I’m going to do some serious catch-up reading. I, too, love the classic styling of those early VPB’s, especially that period around 1960. 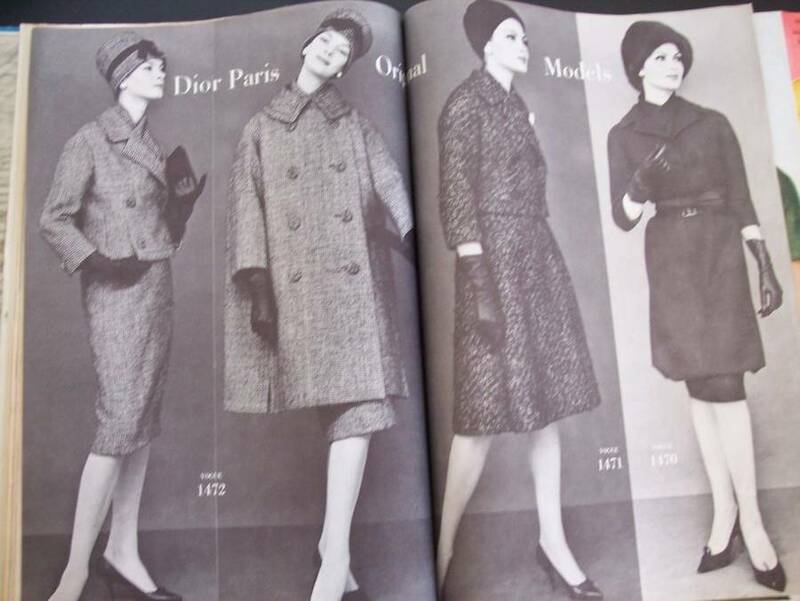 And I think that almost everything that Yves Saint Laurent designed while at Christian Dior was divine, so chic! 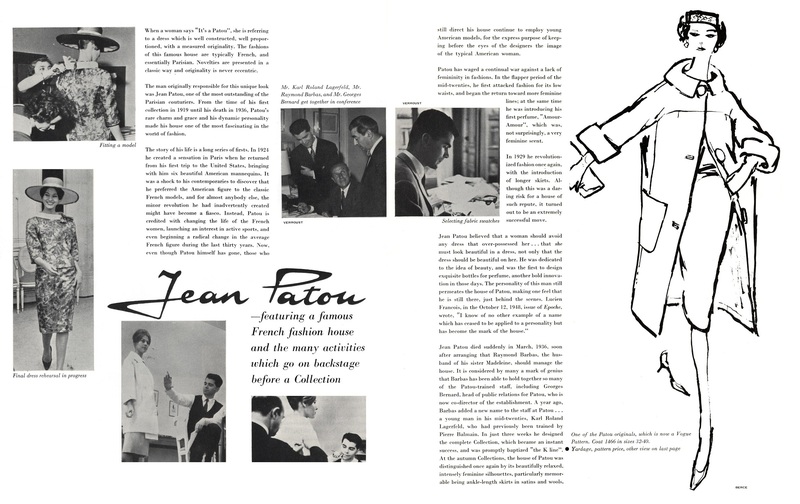 One detail that I especially like about the Jean Patou pattern #1466 is the seam line just above the bust level and those tiny bust darts just below, it’s all in the details! Welcome back to blogland! These editorial images are fantastic. 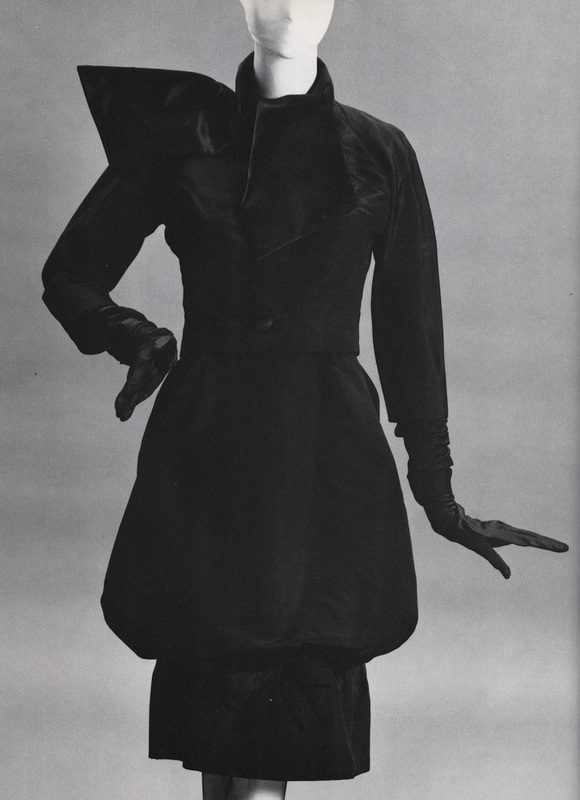 The YSL/Dior hobble dress pattern has been on my wishlist for a while now, but I think I’d have to take on half the internets to get a copy online.. And I actually had a friend lend me A Beautiful Fall but haven’t had the chance to read it yet! Maybe this summer..
Yeah, these patterns are hard to get hold of. 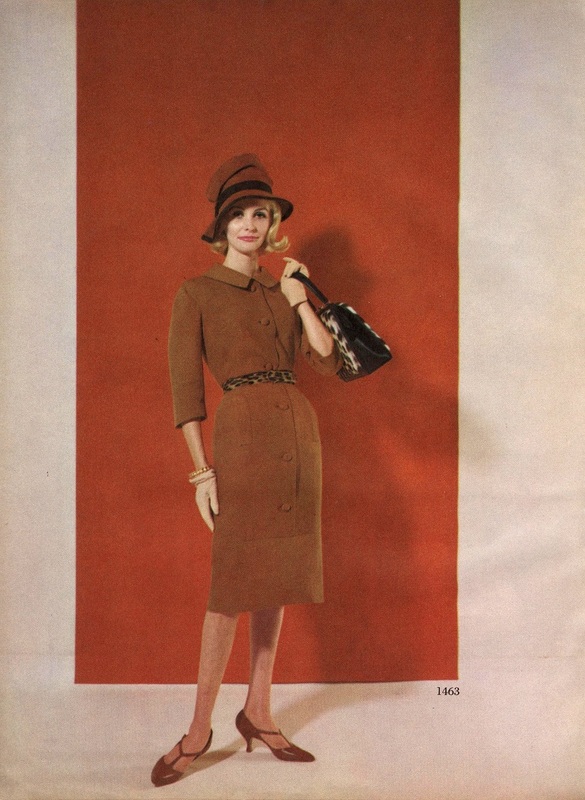 It seems that most patterns from that era are extremely popular. I love that certain patterns I want, especially from the ’70s, ’80s and ’90s, are not in high demand and I get them for a reasonable price compared to those from the ‘50s and ‘60s. You must read ‘The Beautiful Fall’! It’s hilarious, and so salacious! You won’t believe some of the naughty details that made it into the book. Also, the descriptions of Saint Laurent vacationing in Morocco and Lagerfeld summering in Saint Tropez would make it a perfect summer read, I read it a few Summers ago. 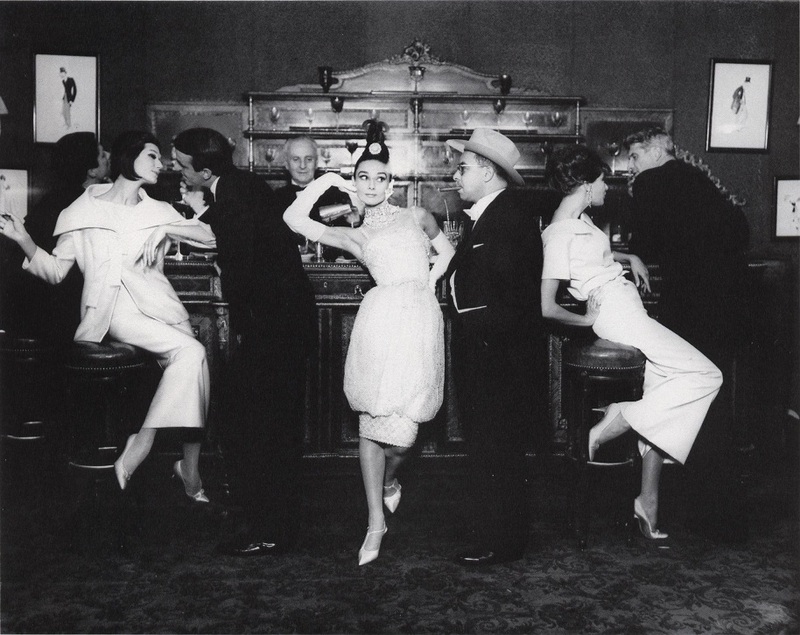 Plus, if you’re familiar with any of the fashion personalities from the period then you’ll really enjoy the anecdotes. 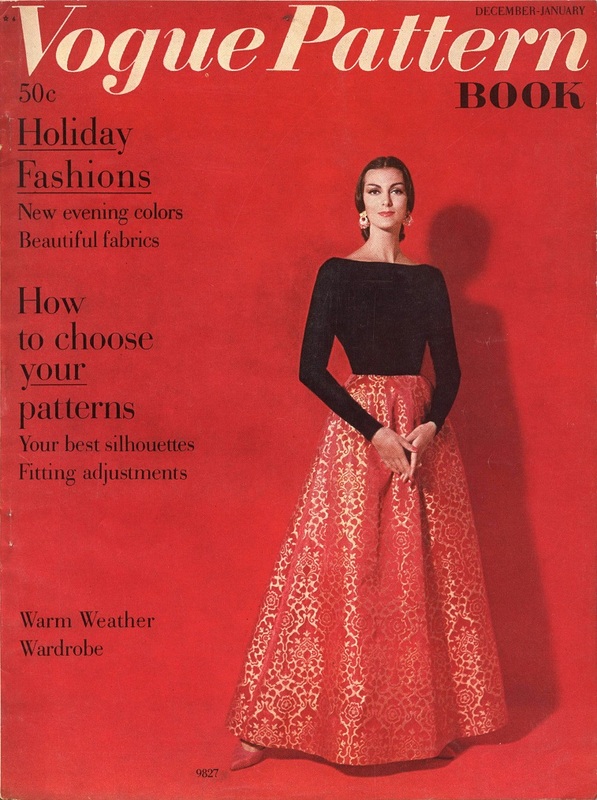 Do you know where I can find the digital version go the December 1959/January 1960 (U.S.) issue of the Vogue Pattern Book. 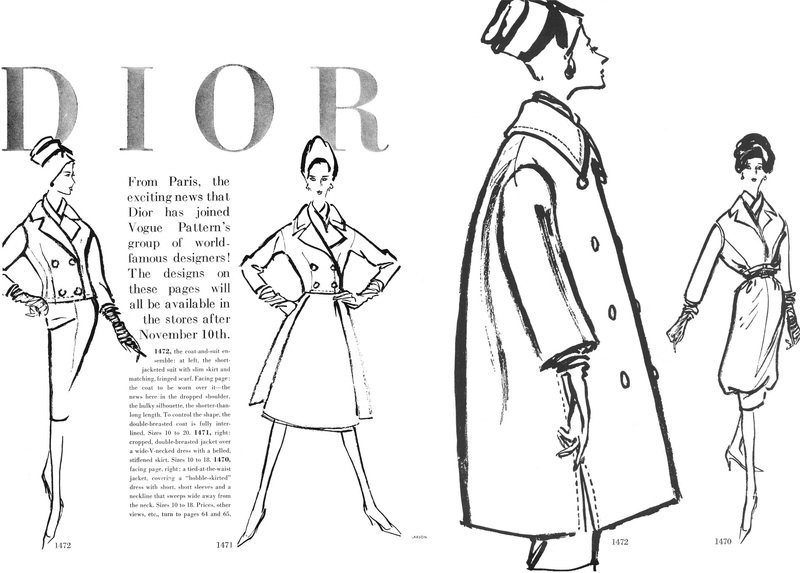 I’m not aware of any available digitized vintage issues of the Vogue Pattern Book. I had to buy a hard copy online to source the content for this post. I suppose that when I have a little more spare time I could digitize my copy and make it available for a minimal fee, but it may be some time in the future before I would have the time to do so. Is there any particular information that you were searching for? I may still be able to help.